A nature's treat in every sip. 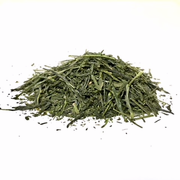 A delicate refined Sencha with deep satisfying clear green note. Use hot water but not boiling. Short infusions.